For younger generations staying fit appears to be a choice that allows us to partake in some of life’s many extracurricular physical activities. For a senior, staying fit is the difference between aggravating pre-existing medical conditions and living independently. Simple tasks such as getting dressed, taking a shower and putting on shoes and socks may prove to be insurmountable challenges to a deconditioned senior. This is one of many reasons that every senior, regardless of their personal hobbies and interests, must take part in some form of physical activity in order to live their lives to the fullest. The challenge is to find the right type of fitness training that both keeps the individual senior interested and achieves the physical fitness goals they are looking for to remain healthy and active. Our residents at Tarrytowne Estates in Houston, TX swing their hips from left to right at our Hawaiian Luau. While some seniors choose to take part in a traditional fitness and balance class, others find it hard to get motivated for this particular form of exercise. One of the fitness challenges we love to offer at Sunshine Retirement Living is a variety of dance classes that help our seniors improve their strength, balance and cardiovascular health. Depending on the skill level we offer both seated and standing dance fitness classes to include: line dancing, square dancing, ballroom dancing, Zumba, salsa dancing and ballet. The combination of the physical challenge along with the social rewards seem to help our seniors stay interested in these classes week after week. 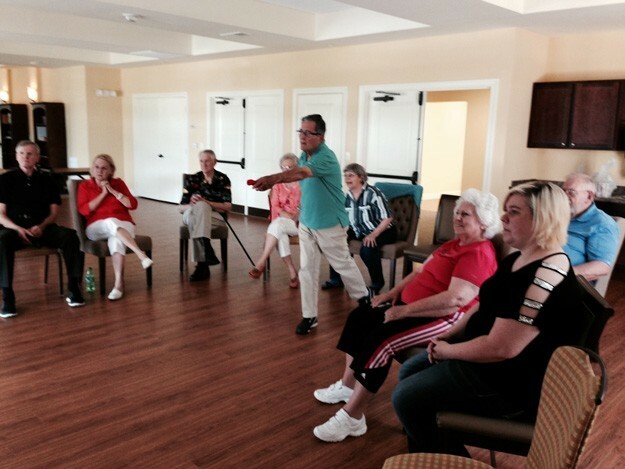 Our residents at Creekside Oaks in Folsom, CA take part in their weekly line dancing class. Our Residents at The Verandah in Lake Charles, LA compete in their weekly Wii Bowling Tournament. 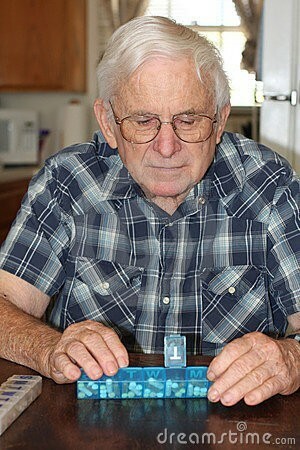 We don’t always think of seniors and associate them with competitive sports. The truth is that seniors, just like all age groups, crave healthy competition. For this reason the National Senior Games Association helps seniors continue to compete in sports such as track and field, volleyball, basketball, badminton, race walking, cycling and even triathlons. Often times the added competitive challenge increases the desire to push through physical and mental boundaries. We encourage our seniors at Sunshine Retirement Living to tackle these types of challenges and even bring many of our beanbag baseball teams to the annual Senior Olympics to test their skills on a national level. We offer weekly aqua Aerobics classes for those residents looking for a great low-impact workout. There are many seniors who desire to take part in fitness classes but are simply unable to due to joint pain and/or strength deficiencies. 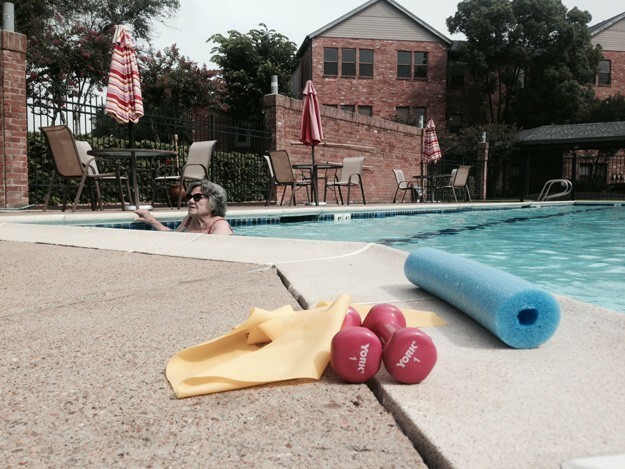 A great option for individuals looking to get a workout with less impact is aqua aerobics. Through an aqua aerobics class a senior may take part in the same exercise series they would in a traditional fitness class, often times with a lot less pain. 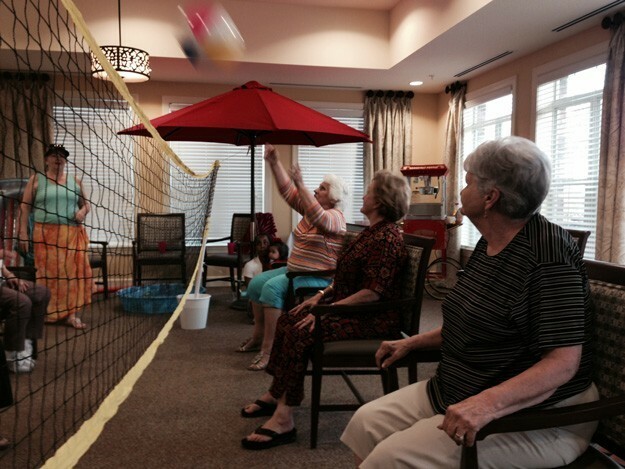 At Sunshine Retirement Living we believe in providing our residents with this service, either on or off site. We find that often times those seniors who begin with an aqua aerobics class, may in time build the strength necessary to move in to a more traditional fitness class if they so desire. 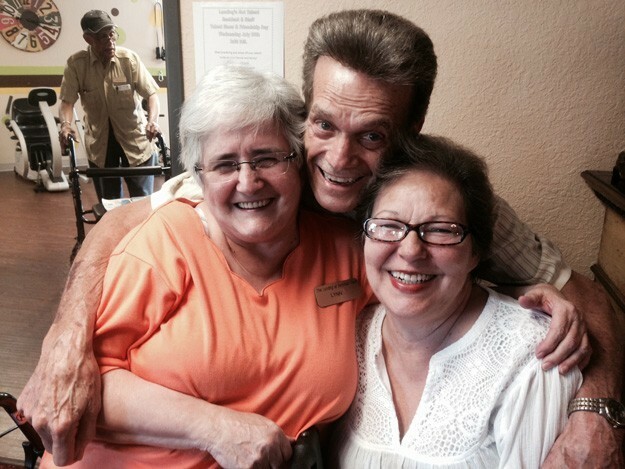 Our residents at The Landing in New Orleans, LA know what it takes to age successfully, SMILES! While staying active is only one many necessary steps towards successful aging, its impact should not be underestimated. 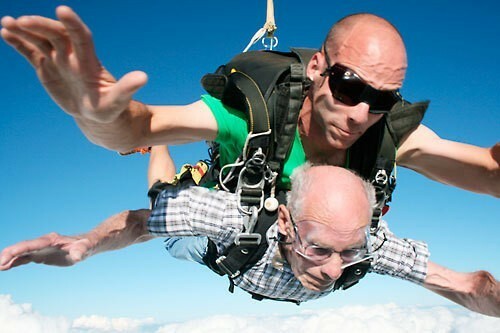 Seniors who take part in physical activity tend to remain independent for longer allowing them to continue to be involved with their personal hobbies. Those seniors who have less trouble completing their required activities of daily living (ADL’s) have more energy and time to spend doing the things they enjoy. We hope that you and those you care about choose to stay healthy and active for the rest of your lives. From all of us at Sunshine Retirement Living, we encourage you to take some time today to get out and get moving!